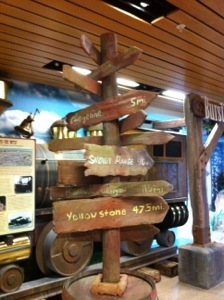 Day 2: Cheyenne, WY | Hold on, I'll tell you! After traveling 890 miles yesterday we slept very well last night! Woke up and went to church in Salina. 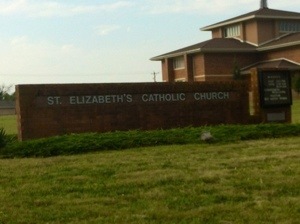 I love going to Mass in different parts of the country! It’s really neat to see how different each church is but know we are all hearing the same readings. We hit the road and are now headed WEST! 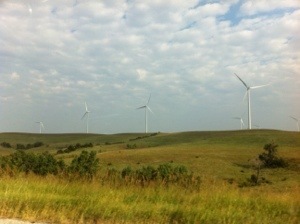 We saw several windmills along the way. 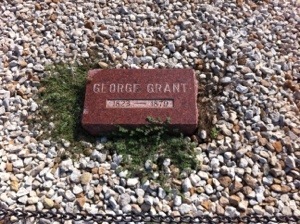 We visited the grave of George Grant. Who’s that you ask? Well he’s the guy that introduced Angus cattle to America! 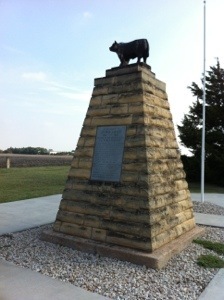 George had four Angus bulls brought to Kansas from Scotland in 1873 and bred them with Texas Longhorns. What did he get? Cattle that survived the winter better and were fatter in the Spring than other breeds. And we still enjoy Angus beef today. You can thank old George for that! 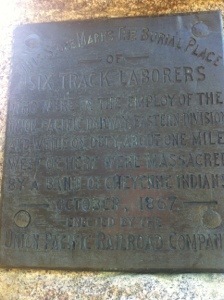 Also in Victoria is a marker where six railroad workers were massacred by Cheyenne Indians in 1867. 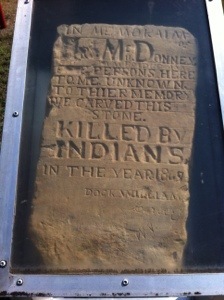 Can’t imagine the bravery it took to come and work in Indian Territory. 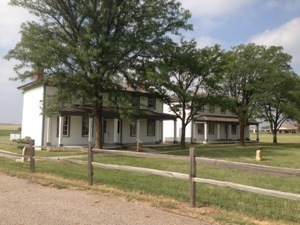 Just a short distance down the road in Hayes, Kansas. 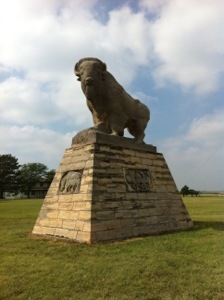 Here we stopped at Ft. Hayes and saw the “Monarch of The Plains” bison statue. Pretty cool! Now we had to move on down the road (Kansas goes on forever!) 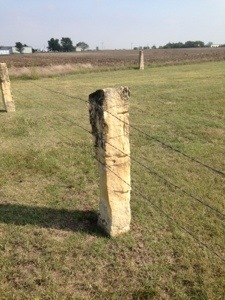 but we did get a pic of one of MANY stone fence posts that were/are used here. With very few trees the people used what they had. 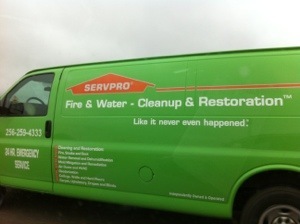 American ingenuity! 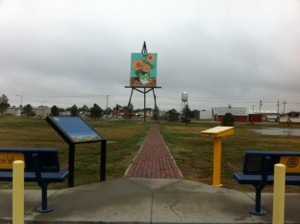 Almost out of Kansas but we made one more stop in Goodland, Kansas to see, drumroll please, the World’s Largest Easel! 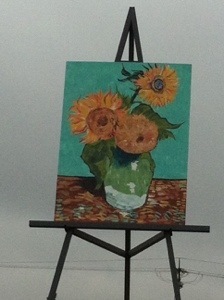 With a painting representing Van Gogh’s “Sunflower” for the Sunflower State, it is in it’s own little park with viewing benches maintained by the local Rotary! Drizzled on us the rest of the day. 😦 It was heart-warming to see so many people on the road headed toward the flooding in Colorado. We saw evidence of the flooding as we passed through Loveland and Ft Collins. 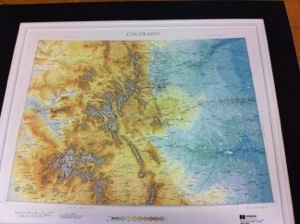 Joy and Brad in Estes Park are in our thoughts and prayers! 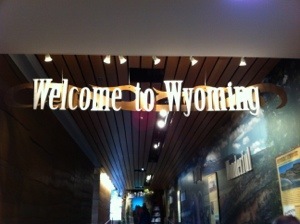 Now we are just across the border in Cheyenne, Wyoming! Going to get a good night’s sleep and see where the road takes us.